Aftermarket exhaust systems are often of a larger tubing diameter than factory systems and as a result, are a tighter fit below your car. With factory rubber exhaust hangers, the result can often be an exhaust system that’s banging against other factory components. The solution to that problem is polyurethane exhaust hangers and just in case simply stiffening the hanger isn’t enough, GrimmSpeed has the solution. The GrimmSpeed Two Position Exhaust Hangers feature two mounting positions. One mimics the factory 1.5in spacing and the other is slightly longer, at 2.0in. 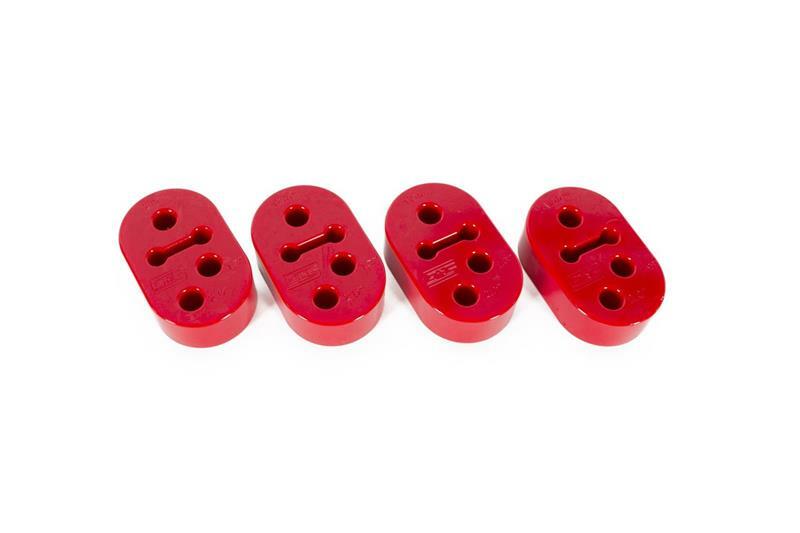 This kit includes a set of four identical 12mm Two Position hangers.